This is a fantastic alternative salsa recipe made from the most basic of ingredients and commonly known as Cowboy Salsa. 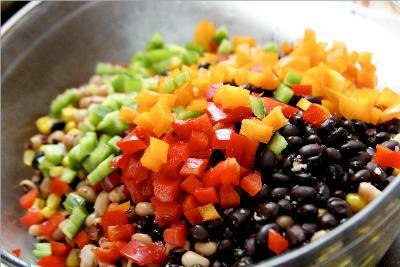 Mix beans, peas, tomatoes, corn, onion, bell pepper, and jalapeno peppers in a large bowl. Add cilantro; toss to coat. Refrigerate for 20 minutes or until ready to serve.